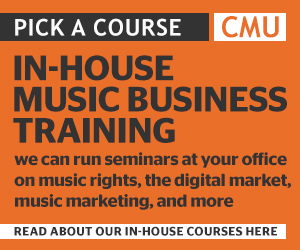 CMU Insights is a leading provider of training to the music industry. We run in-house seminars for a wide range of music companies and organisations, which utlise our courses to enhance their own training programmes and to assist in the continued professional development of their employees or members. In-house seminars are usually run at the client’s offices. We have a menu of off-the-shelf courses to choose from – more details below. However, all of these seminars are adaptable to fit a client’s specific requirements and time-slots. We can also develop new courses to meet a client’s needs. Standalone seminars cost £499 (two hour seminar) or £799 (half day seminar) plus VAT and travel costs outside London. Though packages can be put together for clients seeking a range of courses. These seminars are designed for those new to the music industry. This includes new recruits, those new to the UK market, or start-ups and brands working with the music business for the first time. We also provide more advanced courses introducing key issues and trends in the market. These seminars provide timely overviews of different strands of the music industry. They serve both as a beginner’s guide to each strand and also as a guide to all the recent trends and developments that have occured in the music sector that is in the spotlight. 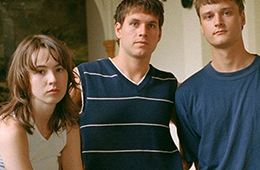 These seminars put the spotlight on music rights, copyright law and the music rights sector. They include both introductory and more advanced sessions on the management and monetisation of music rights. These seminars provide an overview of the digital music market, including market trends and key services, as well as the inner workings of digital licensing and the streaming business. These seminars put the focus on music marketing and fanbase building, reviewing the tools and tactics employed by music marketers, current trends in music marketing, and how new artists and their business partners go about building a fanbase.